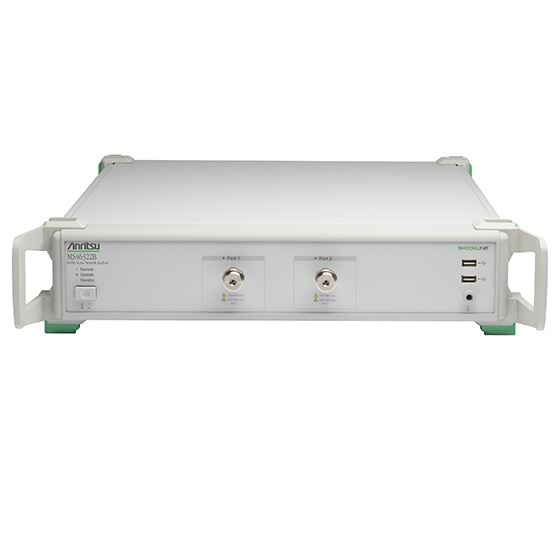 The ShockLine™ MS46322B series are economy vector network analyzers (VNAs) with frequency ranges from 1 MHz to 8/20/43.5 GHz. The series is based on Anritsu’s patented shockline VNA-on-chip technology, which simplifies the internal VNA architecture at high frequencies, reduces instrument cost, and enhances accuracy and measurement repeatability. 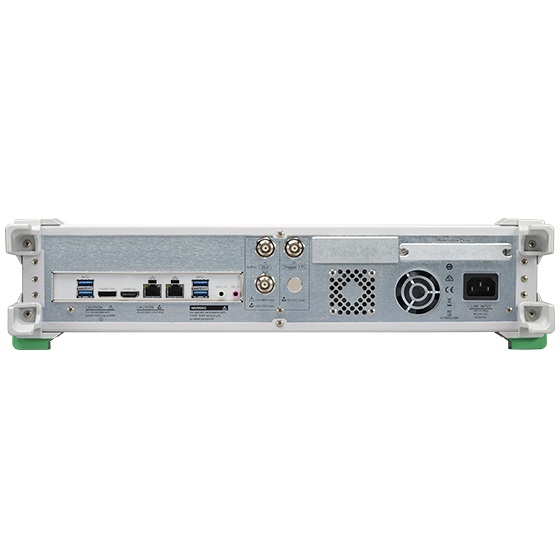 The ShockLine MS46322B series are all 2-port VNAs packaged in a self-contained, compact, and rugged 2U chassis that includes the power supply and computer. The entire series has 130 microseconds per point sweep speed and better than 100 dB dynamic range to 43.5 GHz, making it suitable for testing devices like millimeter-wave (mmWave) antennas and other passive 5G components in engineering, manufacturing, and cost-sensitive education applications. ShockLine MS46322B VNAs integrate easily into rack-mount test systems due to their small size and remote programmability. They support SCPI command programming and software drivers for the most common programming environments. The whole family uses industry-standard LAN communications for remote control. ShockLine MS46322B VNAs provide a powerful graphical user interface (GUI) for manual testing of devices. The full-featured user interface is enabled by attaching a (user-supplied) touchscreen monitor, keyboard, and mouse.